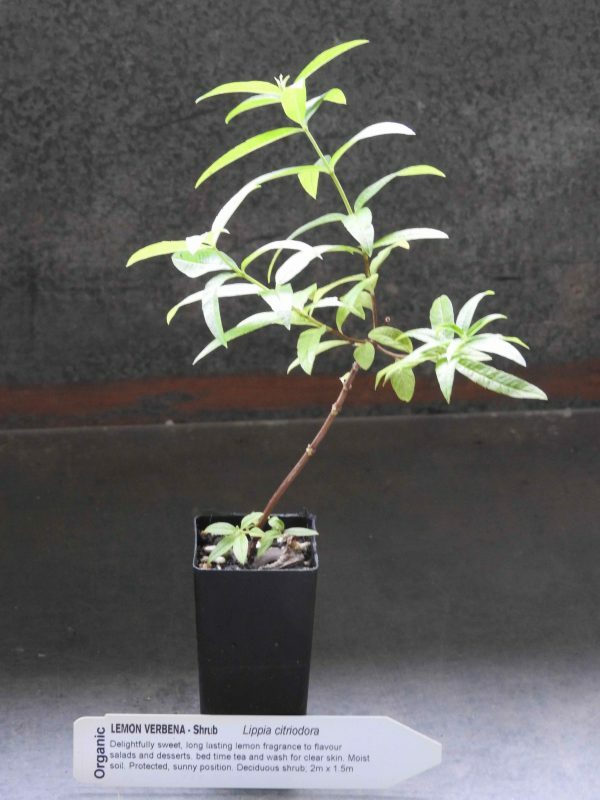 Delightfully sweet, long lasting lemon fragrance of Lemon Verbena plant is used in pot pourri. The leaves are used to flavour salads and desserts. Use in place of lemons in recipes. Remedy for bronchitis, nausea and indigestion. A bed-time tea and a wash for clear skin. A very useful plant. Lemon Verbena plant, Lippia citriodora, is a native of Chile and Peru. Prefers rich, moist soils in a protected, sunny position. Flowers are pale mauve and appear from late summer to winter. Drought and frost tender. A deciduous shrub, growing to 2m x 1.5m. Be the first to review “Lemon Verbena, plant” Click here to cancel reply.